I’ve always thought of myself as individualistic. When I was a teenager, I often felt the desire to go against the grain, dressing alternatively and shunning bands my peers liked because I felt they were too popular. So it came as a huge surprise to me when my therapist called me a people pleaser the other day. I recently started cognitive behavioral therapy for insomnia, and during the first session my therapist identified that I put other people’s needs and wants ahead of my own. He’d asked me to give an example of a situation that is currently making me anxious (since anxiety is both a cause and symptom of insomnia), and I told him a landscaper made a mistake in my yard and I was feeling bad asking him to fix it. I’d hired the landscaper to build a fence and incorporate a parking pad into my backyard space. While the fence turned out awesome, the landscaper brought too much loam and turned the parking pad area into a hill that sloped down from the fence to the garage. When I asked him to level it, he got angry and said he had already spent man-hours on the project and would be losing money. I started to feel bad. Was his business doing okay? Did he have kids? It took him repeating that sentence to me a few more times before the concept clicked, and I knew he was right. I was putting someone else’s wants and needs above my own. I do it all the time. Thrown off by the change in topic, I stammered something about Maple Walnut. It was simple. Suddenly I felt like I’d been let in on the secret all the confident, take-no-crap, boundary-setting people in my life have known forever. If they want something, they go for it. They don’t stand around questioning whether or not they deserve to have it. In my case, I wanted the parking pad incorporated into my yard so that I could enjoy the added space. Therefore, the backyard has to be level. We ran through hypothetical life situations where I could apply this technique, and each time I made the mistake of asking the other person to “please” grant my wishes instead of communicating my wants and needs. Every time I smiled sheepishly at the mistake, it hammered home how I unconsciously present myself to other people. While trying to be polite and accommodate everyone else, I might actually be telling people I’m a doormat. Of course people are going to walk all over me because I haven’t given them guidance on where they can and cannot step! At the end of the appointment, I resolved to start setting boundaries and ask for what I want in life, and I saw results immediately. When I told the landscaper the yard had to be level, he fixed it. By no longer questioning whether or not I “deserved” the same treatment as everyone else and simply asking for it, I gained self-confidence. Granted, not all situations in life are as clear-cut as standing up for yourself with a landscaper. There are times to stand your ground and times to compromise, and the trick is to learn to tell the difference. Sometimes our wants and needs can directly affect other people, or their wants and needs can be in conflict with our own. In this case, it’s important to remember to balance healthy self-assertihttps://tinybuddha.com/blog/5-myths-setting-boundaries-steal-joy-lead-resentment/on with consideration and respect for others. For someone who habitually puts other people’s wants and needs ahead of her own, putting myself first simply means treating myself the same way I treat them—not trampling on everyone else! The ice cream story has changed my perception on putting myself first. It’s not selfish—it’s self-full. Sometimes I slip back into old habits and wonder if I deserve something, but then I remind myself I wouldn’t accept Tiger when I want Maple Walnut. The most important step in setting boundaries is to know your position—what you want—and to stick with it. That way when someone comes back at you trying to change your mind, you can simply go back to your position. Imagine you’re at a dealership and you tell the salespeople that your budget is 10K. If they respond, “We have a newer model with leather seats and a sunroof for 13K,” your response should be, “My budget is 10K.” If they tell you only rust buckets go for 10K, tell them your budget is 10K and then walk away. Don’t forget what you want or need. It’s easier not to be bullied or walked on when you are confident in your position. Communicate your position properly is just as important. When you ask someone to honor your wishes or approve of your position, you’re asking them to make you happy. But when you tell them what you want or need, you’re making yourself happy. If a friend asks you to go to a party with them but you don’t want a late night, you can choose to say no or agree to go on your own terms. Rather than asking if it’s okay if you leave early, tell them that you will go with them for a bit but you want to get a good sleep. If a friend is having an elaborate and expensive birthday and you can’t afford to attend multiple events, tell them. You do not have to apologize. Simply communicate what you can and cannot do. People don’t necessarily aim to walk on you, but if you don’t communicate what you want and expect, there is a better chance it will happen. Have you ever felt taken advantage of but didn’t communicate your feelings, and the frustration built up inside of you until you finally snapped? Or worse: snapped at the wrong person? I’ve definitely been guilty of that. If you set boundaries and communicate them, everyone will know where they stand, and it will prevent future blowups. 3. Stop asking if you “deserve” what you want. In my opinion, this is the most important principle. Do not question whether or not you deserve things in life. Simply know what you want and go for it. People who don’t set boundaries often don’t feel they “deserve” to set boundaries, and they feel that way because they’re used to always putting other people first. Their low self-esteem has been reinforced by their own inability to state what they want. It’s a vicious cycle. We can’t always get what we want in life, but we definitely won’t get it if we don’t ask. By focusing on what you want or need in life, rather than questioning whether you’re worthy to receive, you will help guide your own success and self-confidence will follow! Alexandra (Lex) Baker is a freelance writer and author of both young adult and adult fiction. As a sensitive person with a genuine interest in people, her novels tend to be character-driven, focusing on coming of age and growth. Her debut young adult novel Instalove was published by Bloomsbury. Learn more about her at lexbaker.com or @lexbakerwrites. 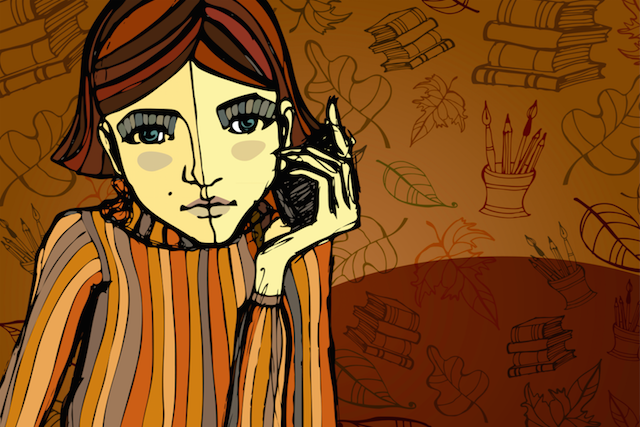 The post How to Ask for What You Want and Need (No, It’s Not Selfish) appeared first on Tiny Buddha.